Android Pay has begun rolling out across Canada with support for eligible Visa and Mastercard credit cards from BMO Bank of Montreal, CIBC, Banque Nationale, Scotiabank, Desjardins, President’s Choice Financial, ATB Financial and Canadian Tire Financial Services as well as prepaid Scotiabank and Desjardins cards. Support for Interac debit cards will begin rolling out on June 5, while support for American Express cards and Tangerine is expected “later this summer”. The mobile payments service will be available in “hundreds of thousands of shops that accept contactless payments” including Tim Hortons, Loblaw, Petro-Canada, McDonald’s, Indigo, Pizza Pizza, Sears Canada and in Telus, Rogers and Freedom Mobile retail stores. Android Pay will also be available for in-app payments with retailers including Lululemon, Uber, Ritual, HotelTonight and more. Banks notably absent from the list include TD Bank and Royal Bank of Canada. According to Google, more technical integration is required for those banks and they are expected to begin offering support in the “next couple of quarters,” ITWorld Canada reports. Interac debit on Android Pay will be available through issuing banks BMO, CIBC, Desjardins and Scotiabank from June 5, allowing payments through Android Pay to take place at “hundreds of thousands of merchant locations across Canada where Interac Flash contactless payments are already accepted”. 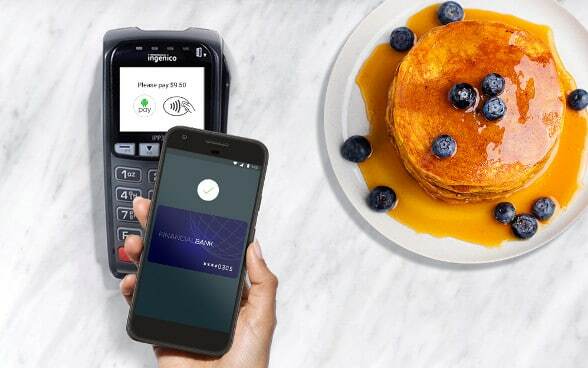 Google has also partnered with payment platforms, processors and technology providers including Moneris, Bambora, Chase, Cybersource, First Data, Global Payments, Paysafe, WorldPay and Stripe to “make it even easier to accept Android Pay”. The launch in Canada — which was announced during Google I/O 2017 last month — takes the mobile payment service to a total of 12 markets, following its launch in Russia last week. Android Pay is available in the US, UK, Singapore, Australia, Hong Kong, Poland, New Zealand, Republic of Ireland, Japan and Belgium. “Moneris processes over 3bn transactions annually and of that, we predict 50% will be made by contactless cards or devices by year end,” says Moneris’ Jeff Guthrie.